I saw a this image recently on Instagram and knew it would make for a cool custom trading card. I loved the weathered old playground hoop and that dope Adidas jersey. Basically Mark Calaway, aka The Undertaker, is a freakishly athletic big man. In the mid '80s the 6'9" Mark was attending Texas Wesleyan University on a basketball scholarship. Mark started at center for the Division II TXWES Rams. 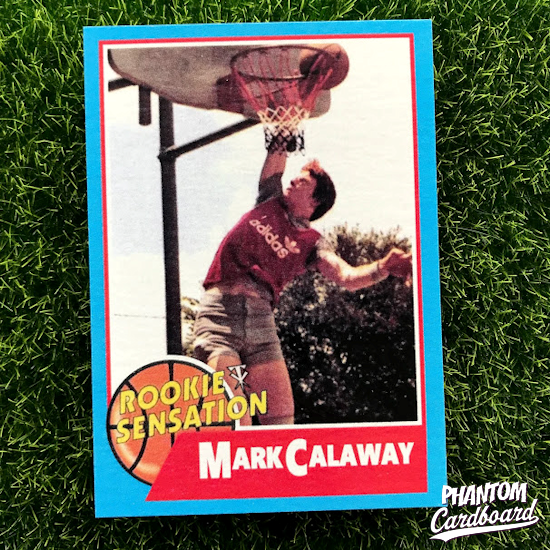 From all reports Calaway wasn't just a big lane clogging clod, he had legitimate basketball skills with a noted affinity for the bank shot, ala Tim Duncan. Mark was offered a chance to play professionally in France but declined in hopes of pursing a career in professional wrestling. 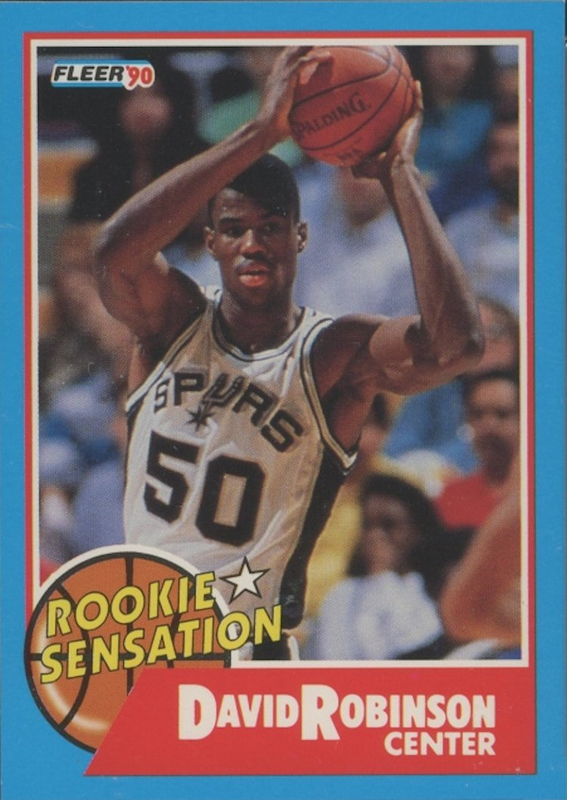 For the card I went with a 1990-91 Fleer basketball inspired design from their Rookie Standout inserts set. This insert, in my opinion, was one of the very few bright spots in an otherwise forgettable card set. Mark was well traveled in the wrestling world in the mid to late '80s but he's synonymous with his time in the WWF as The Undertaker, which he was memorably debuted as at the 1990 Survivors Series. So, the Rookie Standout insert set seemed like a perfect fit as he certainly was that.